San Bernardino Valley College started strong in-conference in 1989 and head coach Stan Sanchez looked to his shortstop as a reason why, according to The San Bernardino County Sun. "We're getting steady play out of our shortstop Eric Campa," Sanchez told The Sun. "He's our leadoff hitter and a good base-stealer. He really ignites us at times." Campa's steady play paid off later that year as he turned pro. His pro career ended up being brief, but his steady work has continued - in law enforcement. Campa's career began that year in 1989, taken by the Athletics in the 43rd round of the draft out of San Bernardino Valley College. He went there out of Colton High School in Colton, outside of San Bernardino. 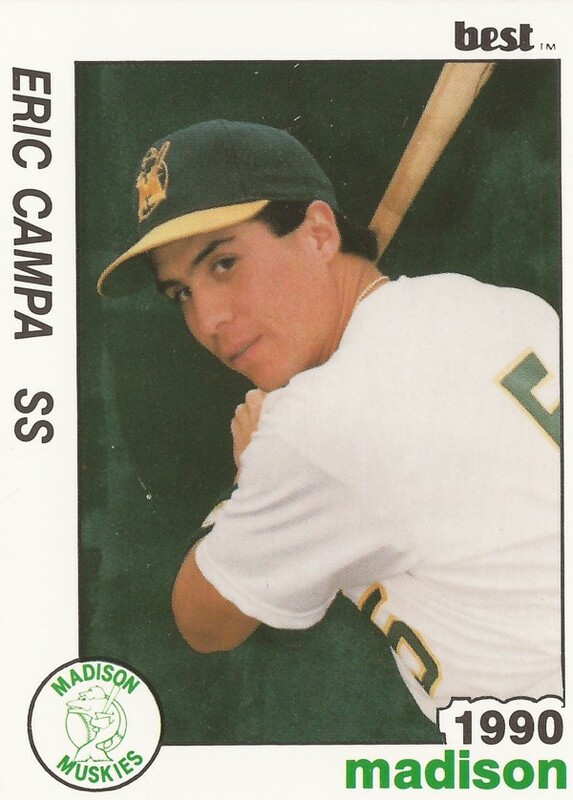 In summer 1987, Campa played on the San Bernardino All-Star team after hitting .465 and winning co-MVP honors. 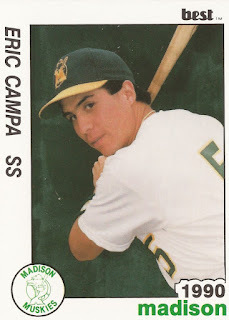 With the Athletics in 1989, Campa started in the rookie Arizona League. He got into 11 games and hit .290. He even pitched in relief in a game. He moved to single-A Madison and short-season Southern Oregon for 1990. In 43 games between them, he hit .250. His time that season marked the end of his professional career. Campa then made his way home to Colton and he became a police officer with the Colton Police Department. He eventually made detective, and he continued in that role in 2016. In 2012, he spoke to residents of one area about an increase in crime. In 2010, he put in his sixth year participating in Colton's "Shop With a Cop" event, according to The Riverside Press-Enterprise. "It's great. I was born and raised in Colton, and I'm familiar with the children in this city," Campa told The Press-Enterprise at the event. "It's always good to give to others."